Black Teams- Prep Teams. Attends regional competitions. Only competes one day at all competitions. Leveling has changed for this year so some prep levels offer a higher level stunting than tumbling. Levels include: 1.1, 2.1, 3.1, and 3.2. The first number is the level stunting the athletes are allowed to perform and the second number is the tumbling level. We are more lenient with white team members as far as absences. 2 weeks notice is still necessary on all absences but they may miss for other sports/activities as long as it is not excessive and is discussed with the coaches/gym owners. Birthday parties, etc are still unexcused. Each athlete has 4 hours of unexcused time before she is placed on probation and will be removed upon receiving 6 hours of unexcused time. Team members are required to be at the last practice prior to a competition. The only exception is if they are contagious or have something for school that is for a grade. In that case, please give coaches notice as soon as the calendar is sent out so that we may rework practice times to accommodate full team. They can only miss a competition if cleared by the gym owner at the START of the season. Getting a substitute is not mandatory for when white team members are absent from practices. Teams may be accepting US Finals Bids. Gold Teams- Practices 6 hours a week. Levels 1-2 will have a 2 hour, a 2.5 hour, and an OPTIONAL 1.5 skill practice. Levels 3-R5 will have 2 3 hour practices. Level 5 (Worlds) will have 3 2 hour practices. 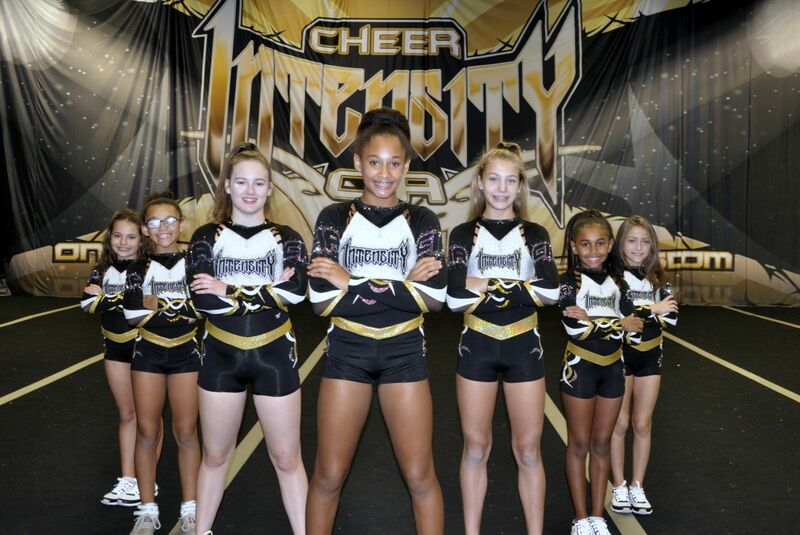 In the fall, the Optional level 1/2 practice becomes mandatory and we add 2 hours a week for all levels 3-5 teams. Will attend 3-5 2-day nationals (only 1-2 are over 6 hours away). Level 1 Gold teams may not do as much extensive travel. Gold team members will incur unexcused time if they miss practice for other sports and activities. Athletes on Gold teams must be in attendance at the 2 practices immediately preceding all competitions. The only exception is if they are contagious or have something for school that is for a grade. In that case, please give coaches notice as soon as the calendar is sent out so that we may rework practice times to accommodate full team. They can only miss a competition if cleared by the gym owner at the START of the season. Gold team members must get a substitute for any missed practices. Teams will be accepting Summit Bids. These teams will be comprised of cheerleaders who have chosen cheerleading as “their sport”. They are looking to invest their time and efforts into this one sport. To be considered for these teams, cheerleaders must be hardworking, dedicated, a self-motivator, and have a positive attitude about themselves and others. Gold team members cannot miss practices for high school cheer, other after school activities/sports, work, or homework. It is the responsibility of the cheerleader to organize his/her time properly. Any absences due to these will be unexcused. You are allowed to take 6 hours unexcused before possible removal from a team. Probation begins after 6 hours and removal occurs after 9 hours unexcused. We urge that you save this time for when it may really be needed and don’t use it all up in the summer. Half Year teams are designed to allow athletes to experience the world of all star cheer with a shorter season! Our Half Year teams will begin practicing in December. Half Year is a great option for athletes that already have sports commitments for the Fall and are looking for something to do in the second half of the year! ✫ Will accomodate all HS cheer conflicts! $10 discount if registered by 11/21!! Practices start Dec 4! Email jess.forte@cheerintensity.com for Full Info Packet!